Click Play below for live webcast. Click the menu button on the player to view the broadcast schedule or recently archived webcasts. 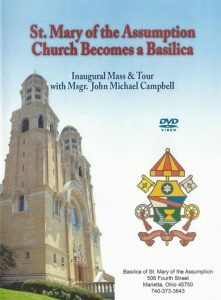 We produced a special DVD about the history of the Basilica, the extensive restoration that took place, and the process of having it named a Basilica. The DVD is available from our online gift shop for $10.